Wear a 2-in-1 hat when the weather gets cold! Carhartt® hats are made from 100% polyester fleece with FastDry® moisture-wicking technology. 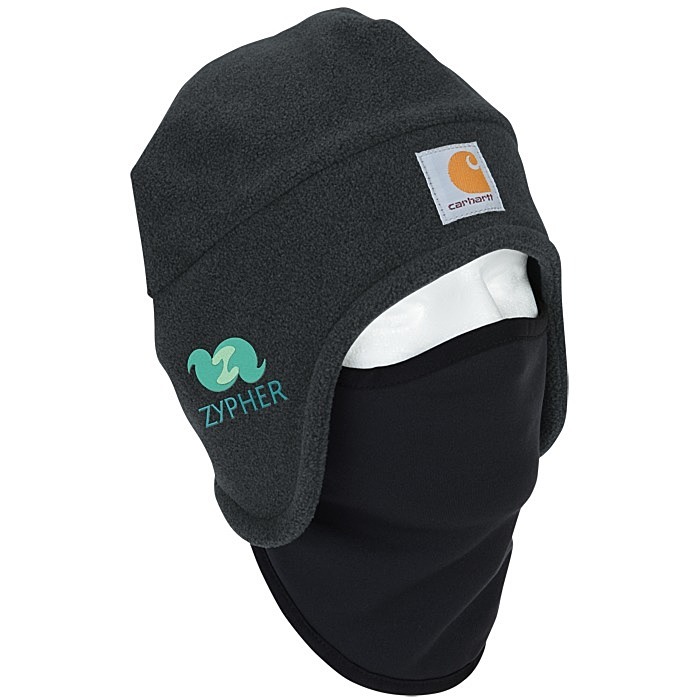 Each 2-in-1 hat features a 90/10 polyester/spandex facemask for additional warmth and protection. When not in use, the facemask tucks into the cap. Fleece caps are perfect for chilly winter days. Carharrt® branding is located on the front of the hat. Your price includes embroidery on the front of the hat. One-time tape charge: add $35 on less than 72 pieces; FREE for 72 or more!